Science and God are often presented in opposition to one another, but a physics professor from the University of Oklahoma will give two lectures on Wednesday (Sept. 10) that highlight their intersection. 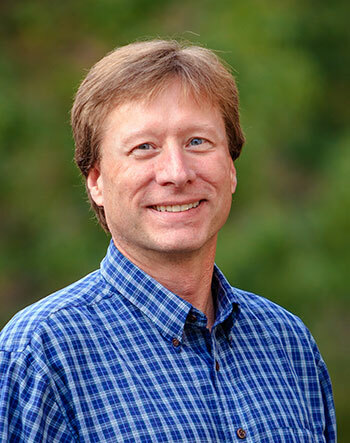 Michael Strauss, the David Ross Boyd Professor of Physics at OU, first will discuss his research on experimental particle physics for the SHSU Physics Colloquium at 3 p.m. in Farrington Building Room 105. His presentation, “Properties of the Higgs Boson,” will address the importance of the particle within the standard model, the discovery of the new Boson, and further measurements taken since the discovery that have given insight into the properties of the particle. The Higgs Boson, nicknamed the “God Particle” because it’s theorized to be responsible for all the mass in the universe, has generated “more hoopla” than any other recent scientific advance since scientists at the CERN Large Hadron collider found, in 2012, a particle that behaved the way the Higgs Boson was expected to behave, according to Science magazine writer Adrian Cho. The discovery appeared to confirm the last missing piece in physicists’ standard model of fundamental particles and forces, and the news both captured the imagination of people around the world and garnered Science magazine’s “Breakthrough of the Year,” according to Cho. Later that evening, Strauss will present "Scientific Evidence for God," beginning at 7:30 p.m. in the Smith-Hutson Building’s Haney Auditorium. The presentation will provide “objective evidence that points to an origin of our universe and its fine tuning,” according to senior physics major Michael Semmlinger, member of the Christian student organization Cru at Sam, which is sponsoring the talk. Following the discussion, there will be a question-and-answer session, during which general concerns about the seemingly conflicting areas of Christianity and science are welcome, Semmlinger said. Strauss earned his bachelor’s degree from Biola University and his doctorate from the University of California, Los Angeles. He also completed a post-doctoral research position with the University of Massachusetts at Amherst. Since joining the OU faculty in 1995, he has taught introductory physics classes to physics majors, engineers, and life science majors, in which he focuses on a “number of interactive techniques to facilitate student participation and learning,” he said. For his efforts, he has been recognized with a number of teaching awards, including from the OU regents, the Student Government Association, and the BP AMOCO Foundation; he was also named to the Carlisle Mabrey and Lurine Mabrey Presidential Professorship in 2006 and the lifetime title of David Ross Boyd Professor at OU in 2012. For more information on the colloquium, call the SHSU physics department at 936.294.1601, and for more information on the Cru presentation, email shsucru@gmail.com.